Windows 8 Operating System Quite Different from Start Button, This time Microsoft made something different, So There are Some Useful Shortcut keys to Navigate New Style Home Screen.... Lets Check it out.. Hint: Download Windows 8 (Developer Preview ) Free Chick Here. Windows Key+Q: For App Search. You can search for the application by typing the name of the app in the search box. 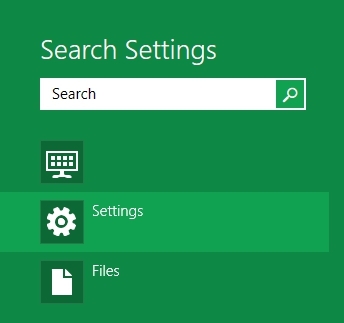 Windows Key+W: For Settings Search. Use the search box to begin typing the name of the desired setting. Once the result set begins to list, you can scroll through the list using the arrow keys or the scrollbar at the bottom of the page. Select the desired setting and press Enter or left-click your mouse to open the setting. 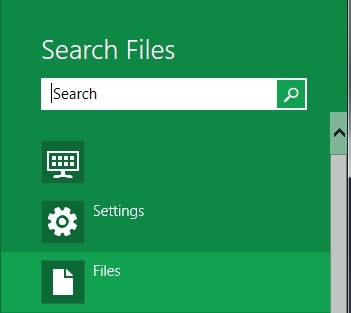 Windows Key+F: For File Search. Use the search box to begin typing the name of the desired setting. Once the result set begins to list, you can scroll through the list using the arrow keys or the scroll-bar at the bottom of the page. Select the file you wish to open and press Enter or left-click your mouse to open the file. Windows Key+C: For Start Menu and Time. 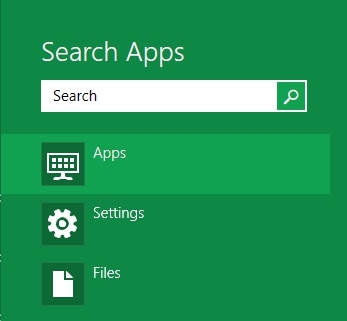 The Start menu gives you access to Settings, Devices, Share, and Search. Windows Key+I: For Preferences for the Selected Tile and the Start Menu. It also provides access to Network, Sound, Notifications, and Power (for shutting down or restarting). Stay tuned with us at Facebook & Twitter and Subscribe Email to get updates on latest Tech Updates.